Lovely fold out for the Osiris’s Luxury Nile cruises. Colorful graphics and lovely pictures of Egypt. Dated for the 66/67 season. Excellent condition. 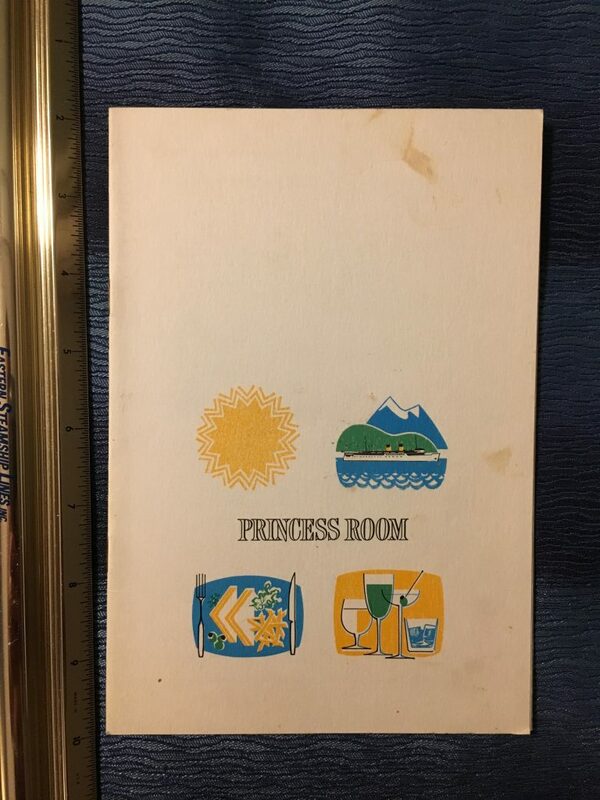 Lovely beverage list from one of CP’s British Columbia steamers that ran under trhr CP Rail Banner and operation division. Lost of different selections and in goods shape ,, some stains from wear. 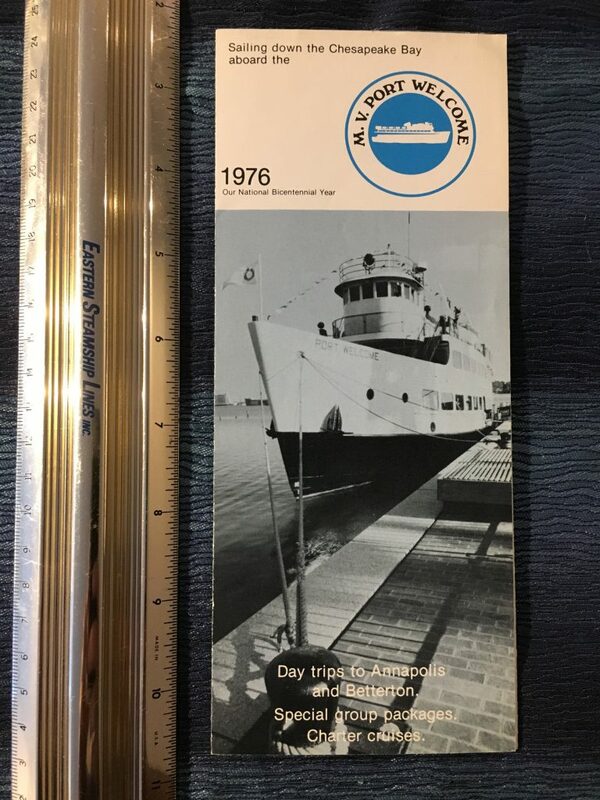 Great brochure for the 85/86 season featuring the Newport and Nantucket clippers. 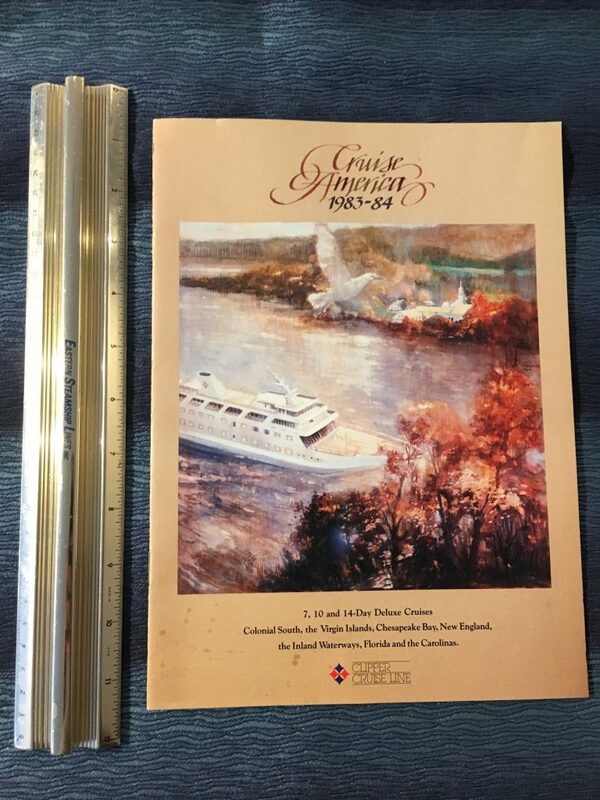 Clipper Cruise Line: 1983-84 Cruise/Rediscover America Season Brochure. 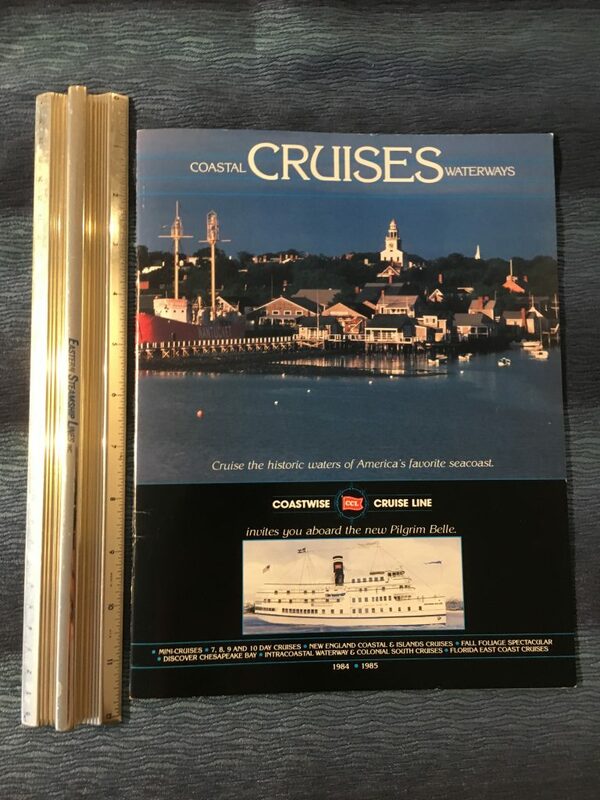 Great season brochure for CCL’s mv Newport Clipper. Most of her cruises were based on the eastern seaboard … in the cold months she diverted to the Virgin Islands. Excellent condition. 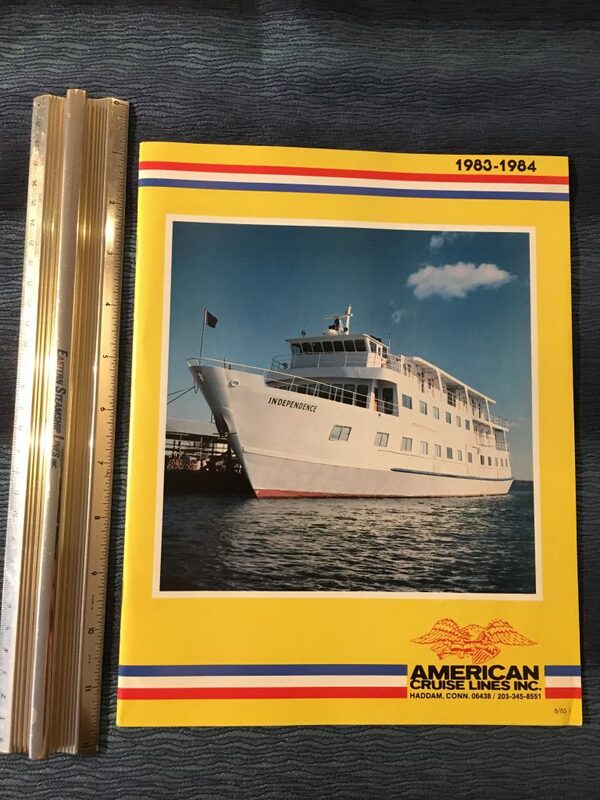 Lovely brochure for the 1983-84 season for all 4 vessels: Savannah, America, Independence and American Eagle. The cruises were mostly over the eastern seaboard but also the gulf and the Mississippi. Great brochure for the myriad of cruise options for Canadian -British Columbia and PNW cruises. Full color and lots of photos. Nice little 2 toned flyer for the MV Port Welcome. She could cruise or be chartered for cruises out of Baltimore and the upper Chesapeake Bay area. 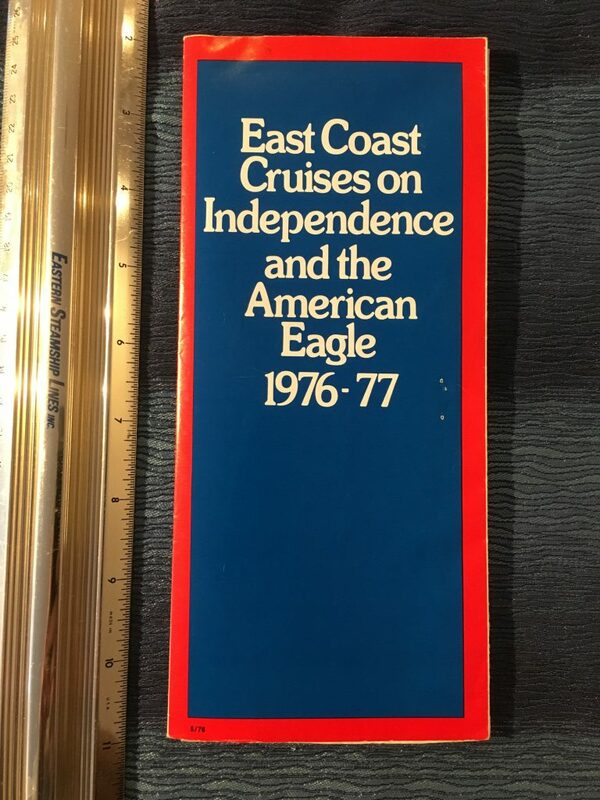 Lovely brochure for the 1976-77 season for the 2 vessels: the Independence and American Eagle. The brochure is printed in Bicentennial RWB colors .. folds out to large double-sided sheet with some minor edge wear. There 2 different boats on this service were the Kawartha Voyager or the Trent Voyager… they were double decker houseboat like vessels designed for the canal transits. Pretty interesting service! 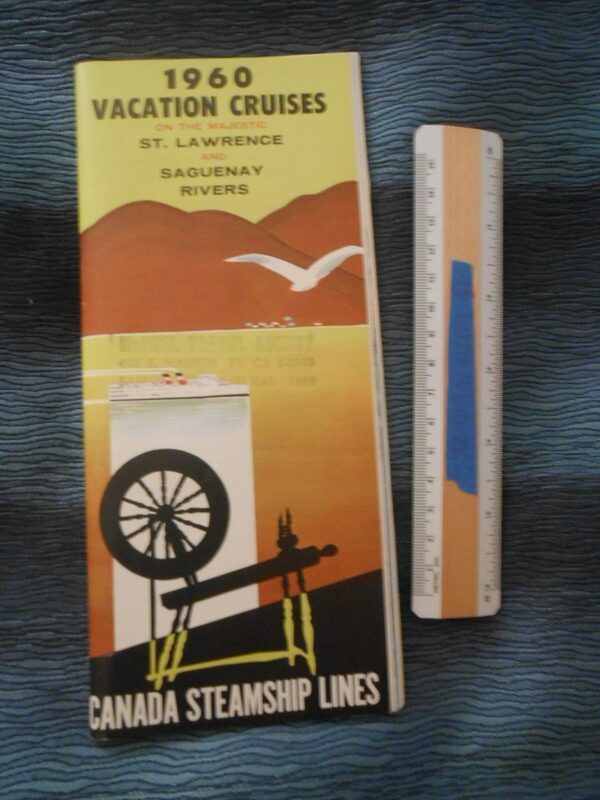 Canada Steamship Lines: 1950 Cruise Season Brochure. 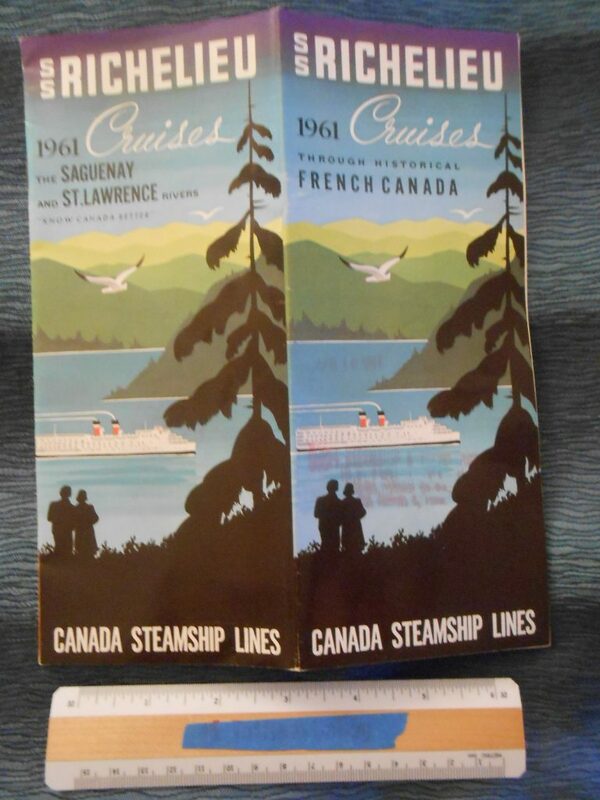 25ish page brochure booklet for the Canada Steamship Lines service in 1950 for the steamship Richelieu. Excellent reviews of the beautiful boat and her various schedules and activities of her summer cruises. 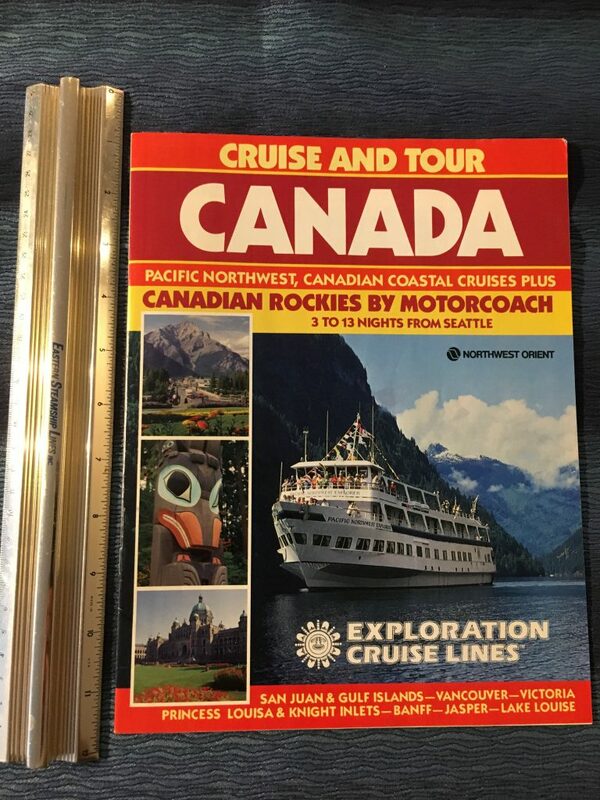 Canada Steamship Lines: 1960 Canadian Cruise folder. 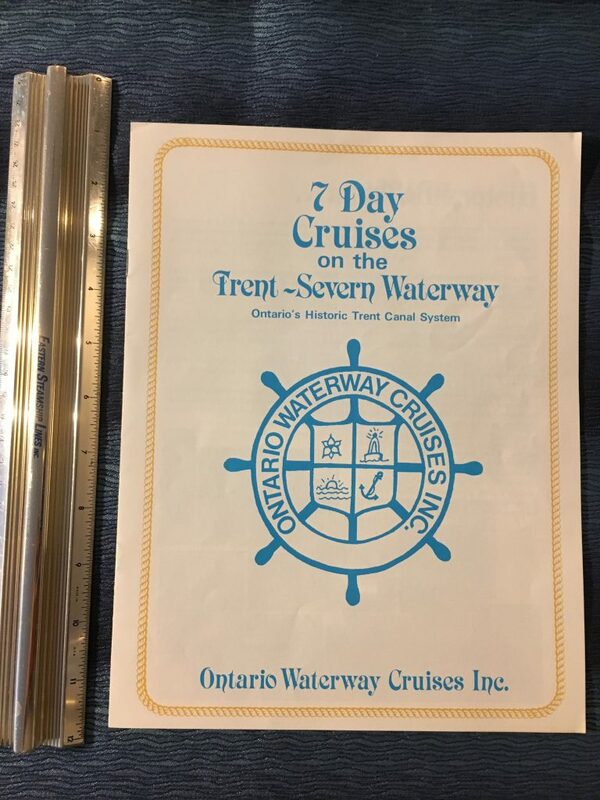 Stunning deck plan brochure for the magnificent cruises through the “French Canadian” water ways .. specifically the ST Lawrence and the Saguenay river. on the SS Richelieu. This would have been such a relaxing voyage! A stunning brochure in excellent like new condition. 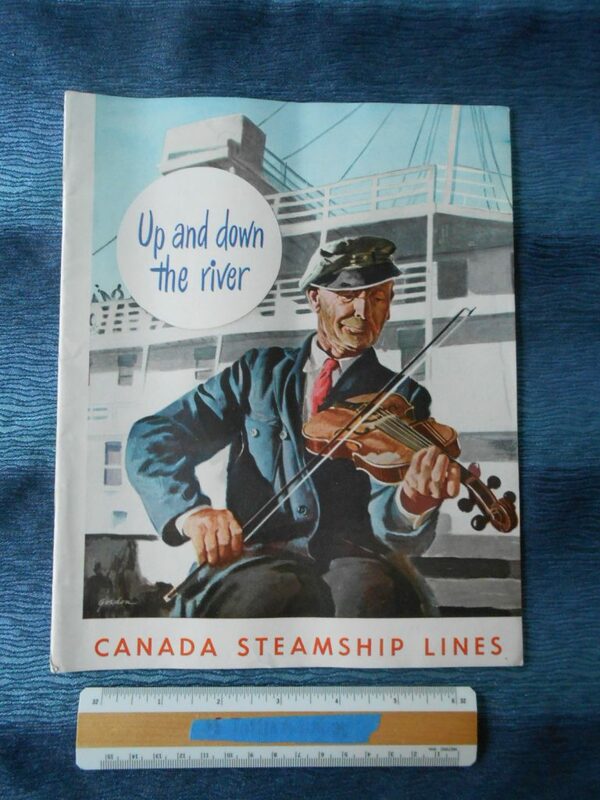 Canada Steamship Lines: 1961 Canadian Cruise folder. Stunning deck plan brochure for the magnificent cruises through the “French Canadian” water ways on the SS Richelieu. The beautiful old ship would only make these cruises for a few more seasons before being forced into retirement due to her extensive wood construction. A stunning brochure in excellent like new condition. 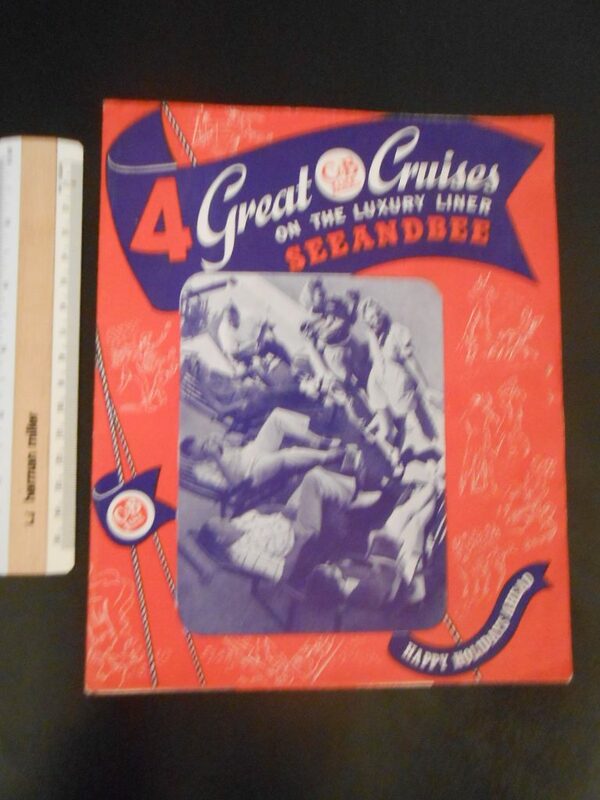 Craftily named after the line itself (there was a publicity mail in contest to name the ship) and the great lakes only 4 funnel passenger ship … the mighty see and bee. A Frank Kirby creation .. she was the largest ship for passenger serving the great lakes until the Greater Detroit and Greater Buffalo. She was refitted and reworked into the aircraft carrier training vessel USS Wolverine during WW2 and scrapped soon after WW2. Great brochure with excellent info and graphics. 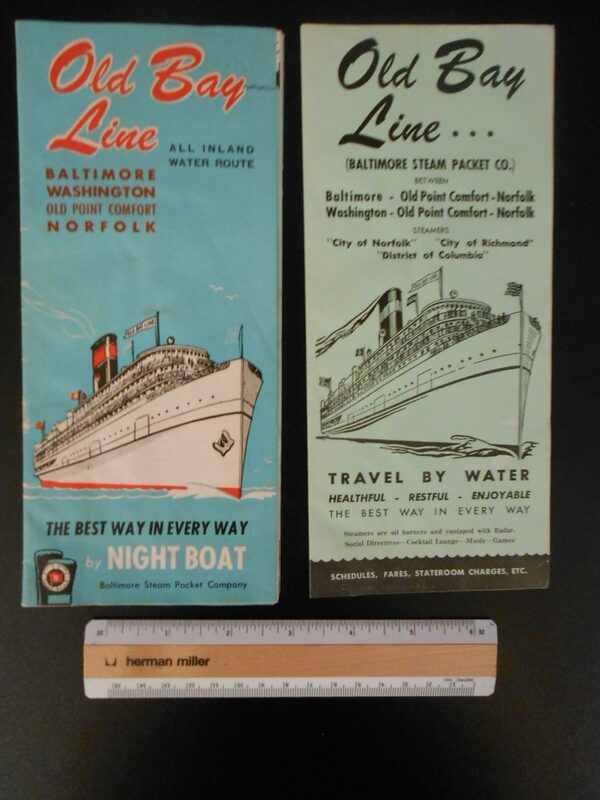 2 nice pieces for the Old Bay Line aka the Baltimore Steam Packet Company. These services covered the Chesapeake Bay and Potomac river routes .. and at the time were the oldest steamboat company in the US… services started in 1840! The City of Norfolk and City of Richmond were the last survivors … but would be soon retired. Georgian Bay Line: SS North and South American 1959 Season. Lovely Brochure folder for the lovely Sister Queens of the Great Lakes. 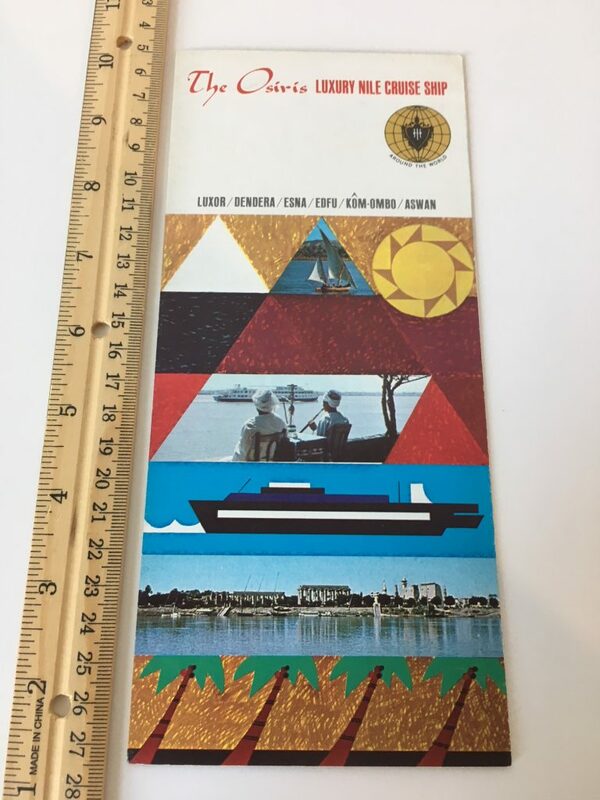 Covers rates and sailing cruises for the entire 1959 season. These are by far my 2 favorite Great Lakes sisters. Excellent condition. 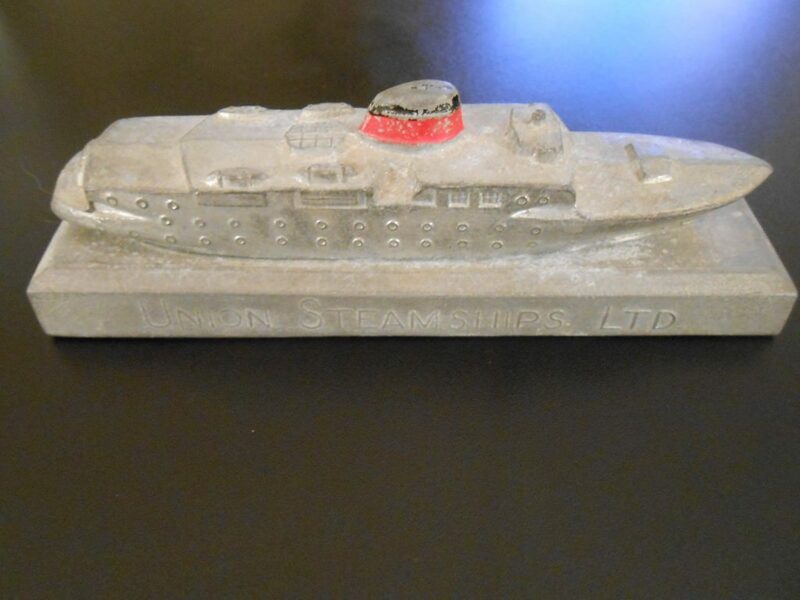 Great little model paperweight of one of the Later USC’s boats that served the coastal watesr and rivers in Western Canada. Somewhat of a competitor to Canadian Pacific .. CP eventually bought what was left of the company when it was liquidated in the period after WW2. Heavy and in good shape .. still red and black paint on the funnel. 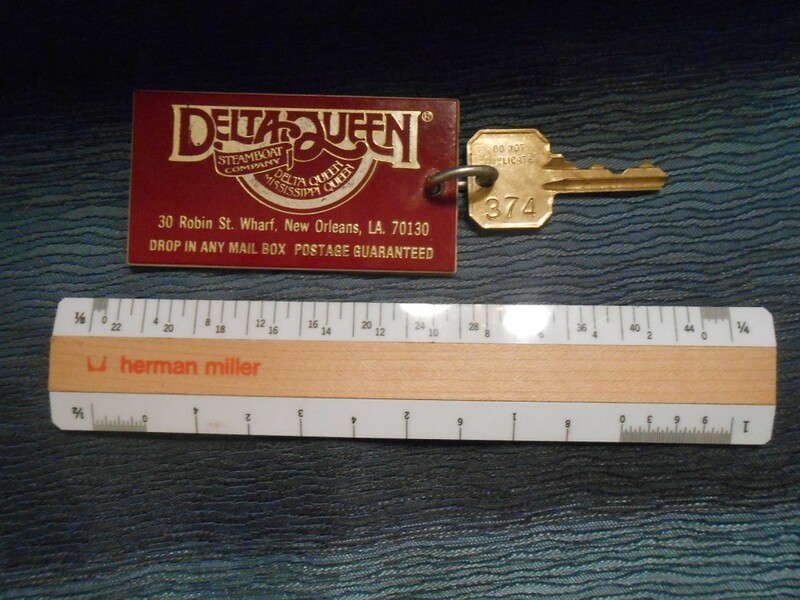 Lovely heavy laminate cabin #374 key and FOB for the mighty Mississippi Queen. She was the newer companion to the famous Delta Queen … but after the her owner’s bankrupcy she fell into disrepair and was scrapped. The DQ is thankfully intact and currently in Chattanooga TN. 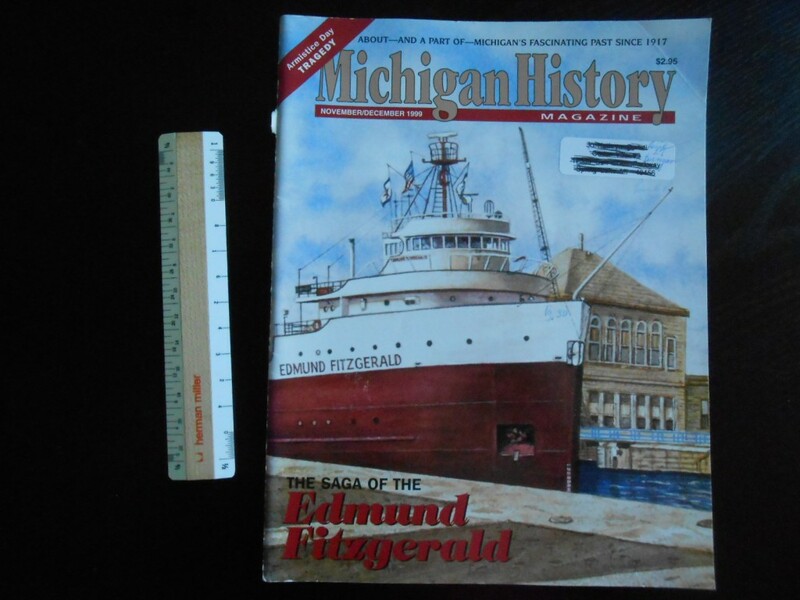 10 page article on one of the Great Lakes most tragic stories .. the loss of the bulk carrier Edmund Fitzgerald. On November 9th she left superior Wisconsin with a full load of iron-ore pellets for her anticipated 5 day voyage .. but a historic gale was brewing … and she would be lost the following day. The tragic tale is still debated to the day on exactly what happened that evening beyond Caribou island. excellent condition with a tiny sticker and writing on the cover. 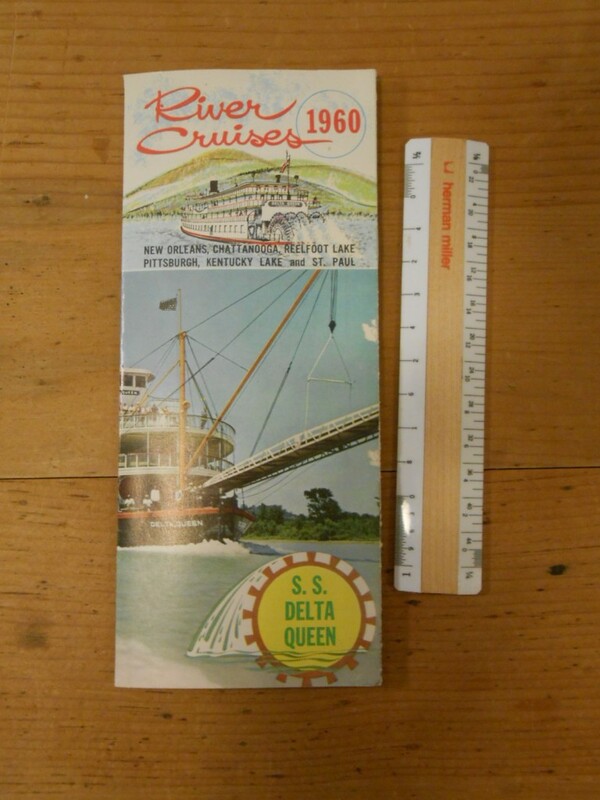 Greene Line: Delta Queen River cruises 1960 foldout. Covers cruises for the 1960 season April thru November. 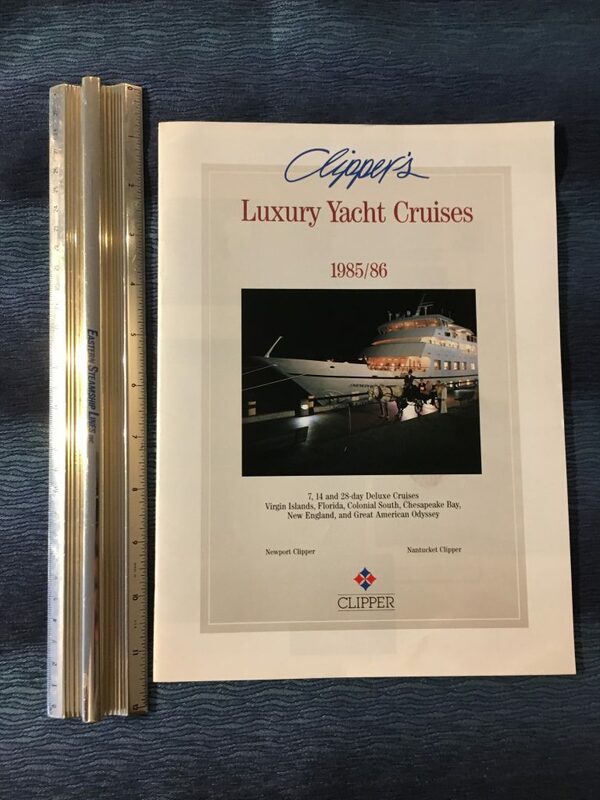 There are deckplans and nice onboard snapshots of the interiors and life aboard … as well as destination info. Some small silverfish nibbles on the cover and the last page is clipped. 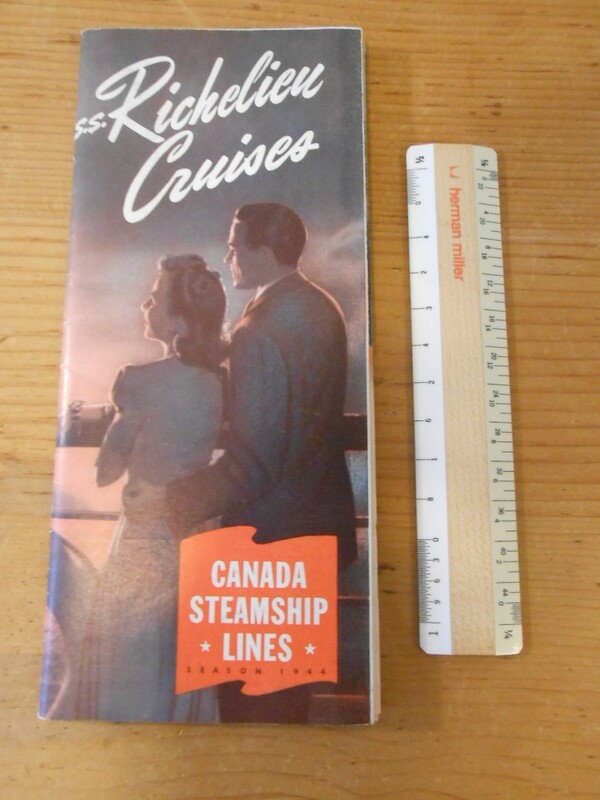 Canada Steamship Lines: SS Richelieu Cruise folder. Step back right into 1944 and see where the SS Richelieu would be steaming on the great lakes. 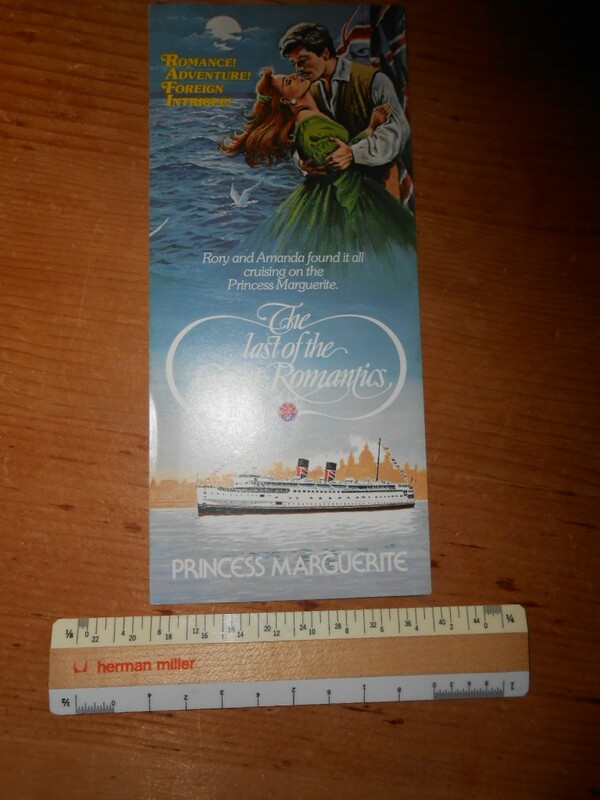 This fold out has lovely simple deck plans and lots and lots of information about the ship and the places she visits. Full of color-toned type pictures from July of 1944. In excellent shape! Very interesting 25 page-ish booklet that covers D&C lines services for the entire 1929 season. Lots of folks would have been traveling on these great ships for work and or leisure … thought the great stock market Crash later that year probably ended most of the leisure sailings … folks had no money. This booklets contains all info you would need .. lots of nice ship info , plans pictures etc and lots of port info as well. 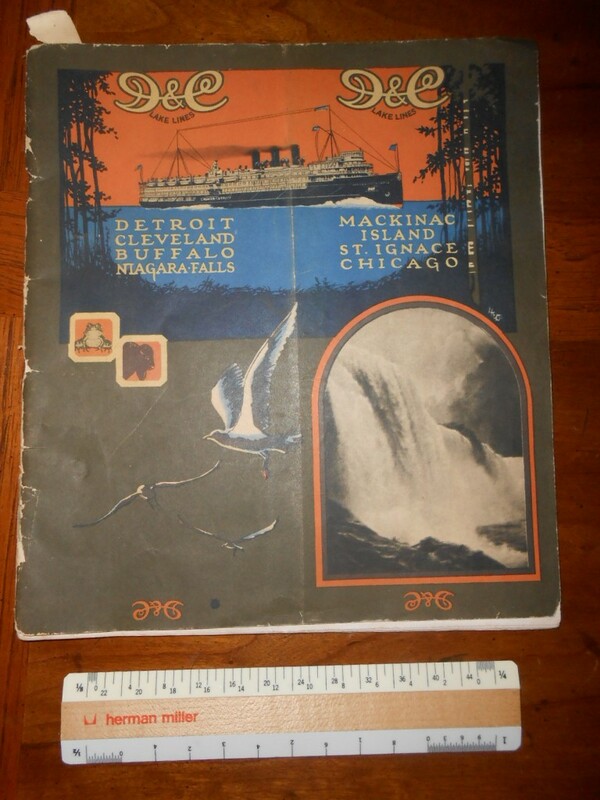 There are quite a few adverts too .. even for “rival” Steamship lines on the Great Lakes like the Georgian Bay line, GLTC and others. The cover of this is a little brittle and is starting to separate form the spine .. but interior contents are what will keep you entertained! Wonderful D&C graphics! 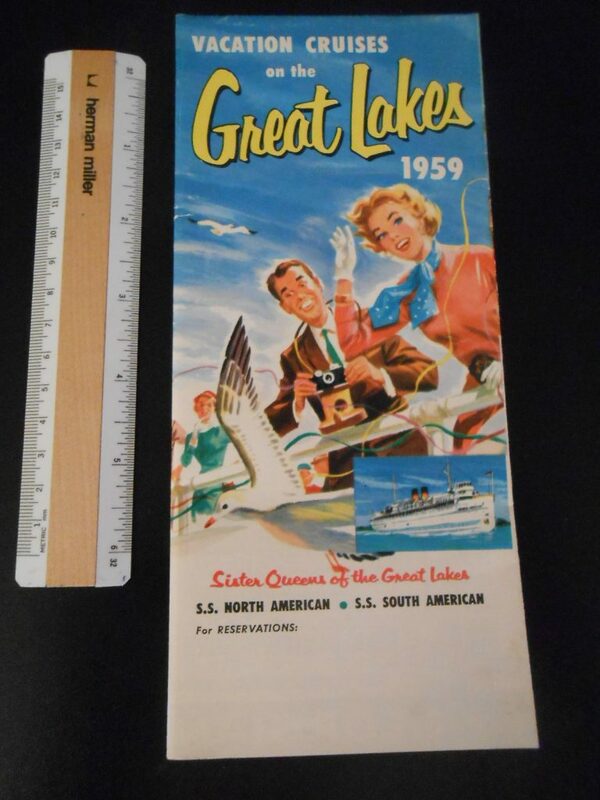 Neat little fold out brochure trying to lure folks across the great lakes to ride the D@C ships to the NY worlds fair. 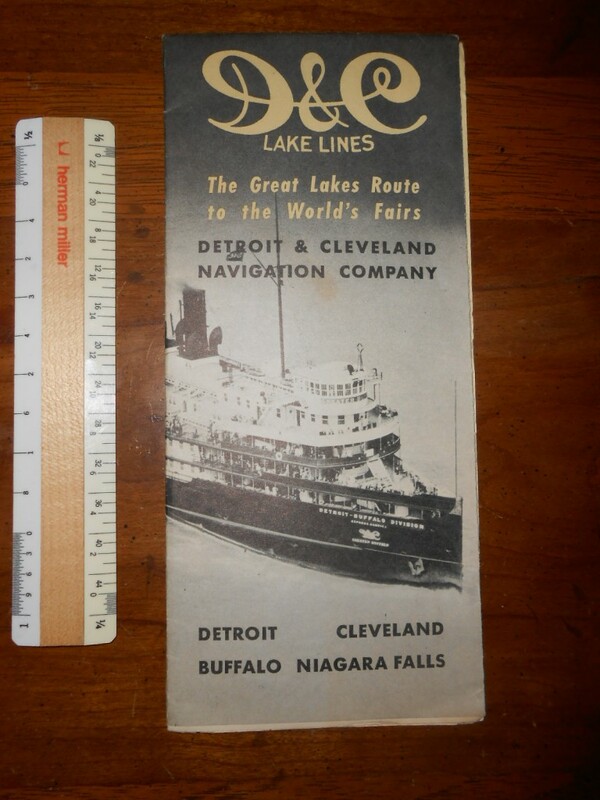 The D&C boats were glorious .. the Greater Detroit and Greater Buffalo were the largest side wheelers built … both designed by the famous maritime architect Frank Kirby. There rates were pretty low … I would have been sorely tempted! Good condition and printed on heavier stock. Cute little fold out for the PM well after she was sold by Canadian Pacific and was owned by BCSC. A nice piece of her history! 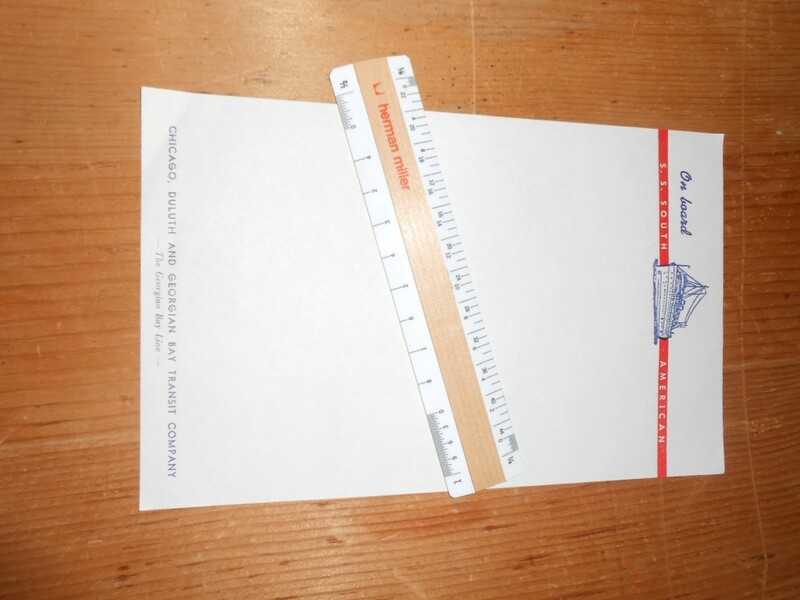 One single sheet of writing paper from onboard the glorious and favorite SS South American. Oh .. the lost and romantic art of writing letters! The South was the newer of the 2 sisters … and was almost completely rebuild after a huge fire gutted her in the mid 20’s. The sheet is In great shape .. though it needs to be pressed to clean up minor edge bumps.